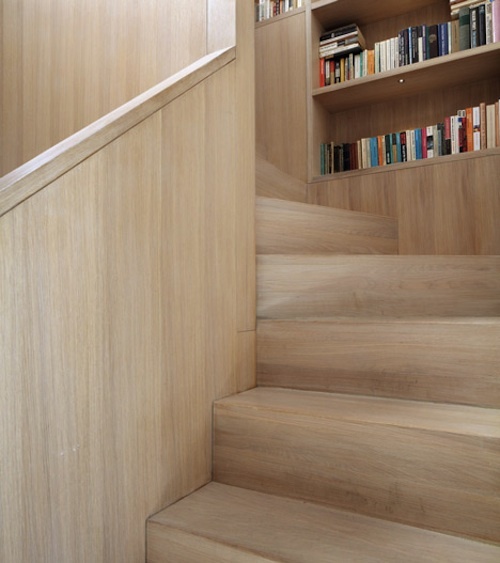 A staircase that is a home for books was made in a renovation of a north London home by Hackney studio Platform 5. 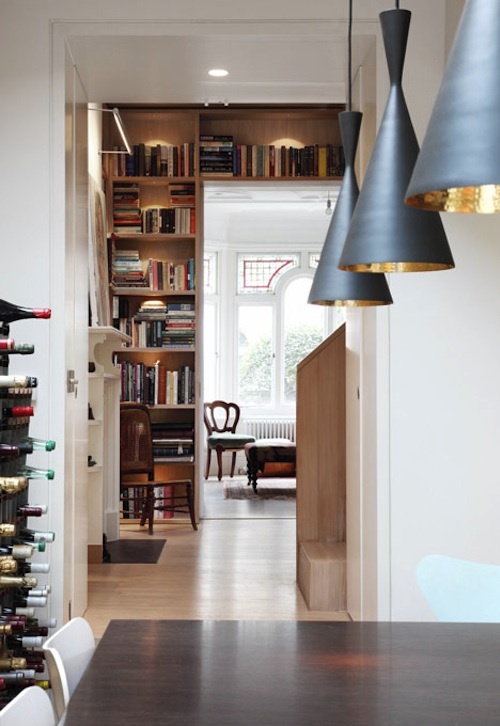 The clients needed to house an extensive book collection. 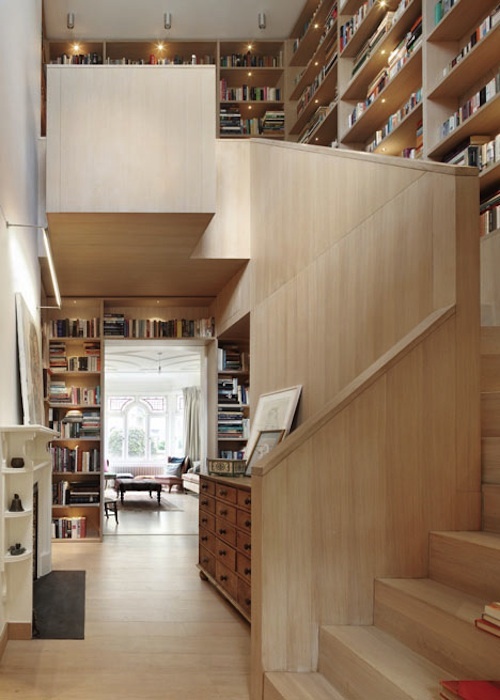 So at the heart of the house, the main feature is a double height library built around a staircase. 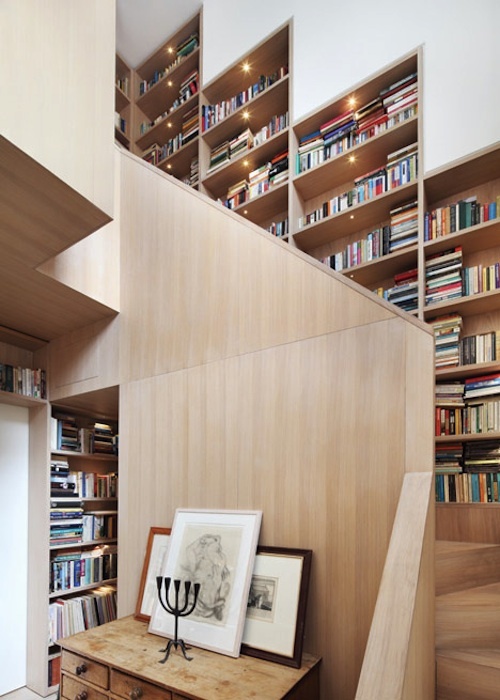 The upward movement of the stepped bookcases echo the steps in the stairs. 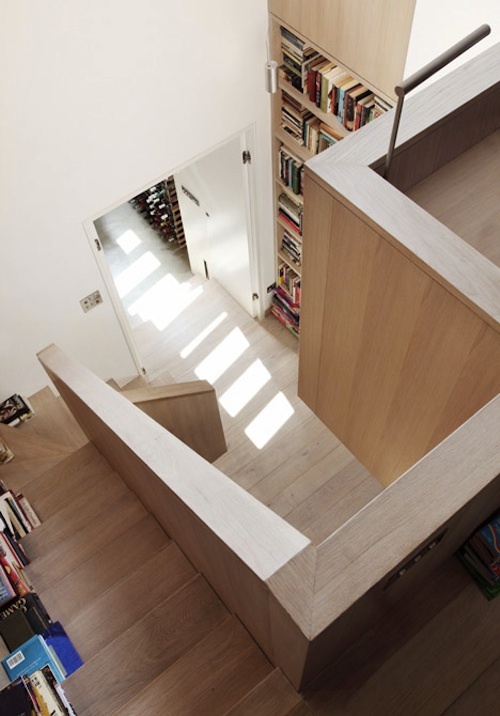 At the top of the stairwell, a cosy study desk is tucked into the landing space. The small desk juts out over the stairwell, making use of the waste space. 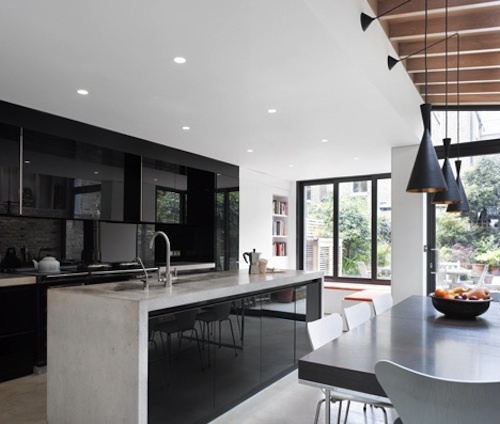 The retrofit introduced contemporary interventions to add modern living spaces as well, a dining room. More bookcases are squeezed in elsewhere too. 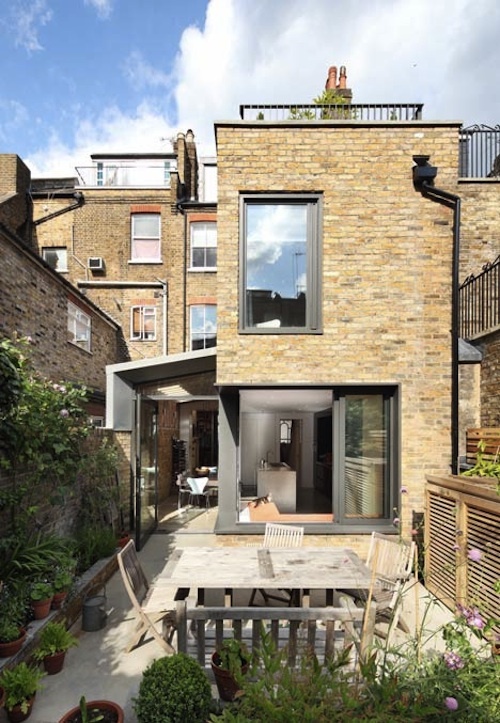 A large glass door and a huge L-shaped window bring in lots of light to the dark mews space. 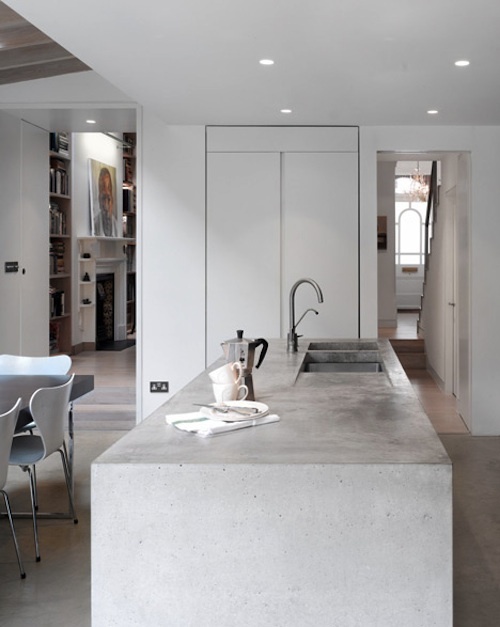 An exposed concrete islands counter with a rustic hand-formed finish continues the muted tones and textures of the exposed brickwork and oak. The forthrightly modern kitchen now extends to a sitting area overlooking the garden. The result opens the house to the garden, framed in the ubiquitous London stock brick of the region. 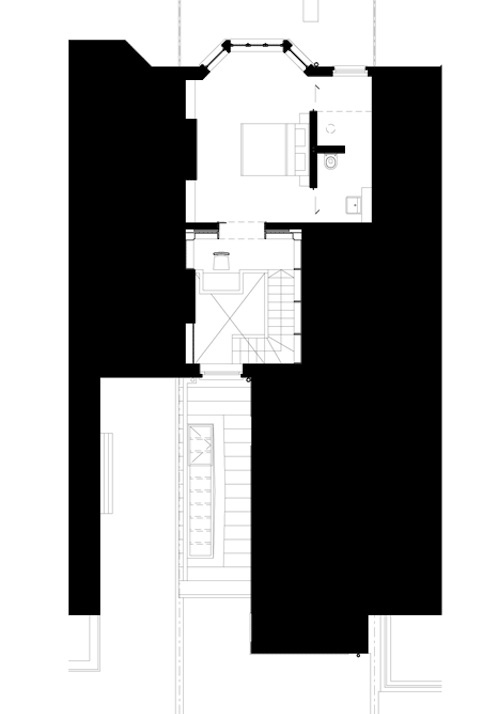 This entry was posted on Wednesday, April 17th, 2013 by Susan Kraemer and is filed under Architecture. You can follow any responses to this entry through the RSS 2.0 feed. You can leave a comment.